Rated as one of the best places in the world to dive with whale sharks, Richelieu Rock is easily the best site in Thailand for this amazing activity. 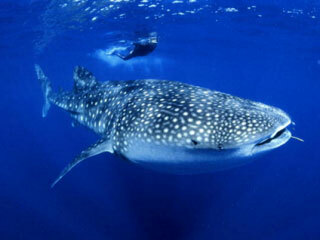 Encounters with the whale sharks, the largest fish in the ocean, are rare almost everywhere in the world. 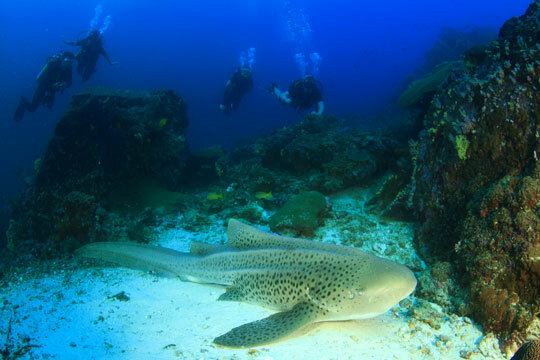 It's not the only Thailand dive destination where whale sharks are seen but Richelieu Rock certainly attracts more than its fair share. With nothing else for miles around, the whale sharks are attracted to the rock to feed on the rich planktonic blooms that occur here. 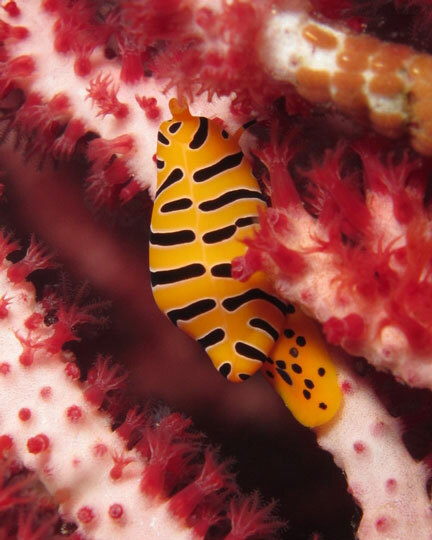 A liveaboard charter is your best bet for diving here, as once they arrive, they tend to hang around for days, with an entourage of followers in tow, most notably cobias. Swimming with such a large animal, known to grow to 14 metres in length, is a never to be forgotten experience for any diver. Sightings occur about 10% of the time. Some dive seasons see more visitors than others and generally February to April is the best time for a visit if your aim is to enjoy the exhilaration of swimming with these massive creatures onboard liveaboards at Richelieu Rock. First discovered as a scuba diving site by Jacques Cousteau, Richelieu Rock rises from a maximum depth of 50m to just reach the surface. 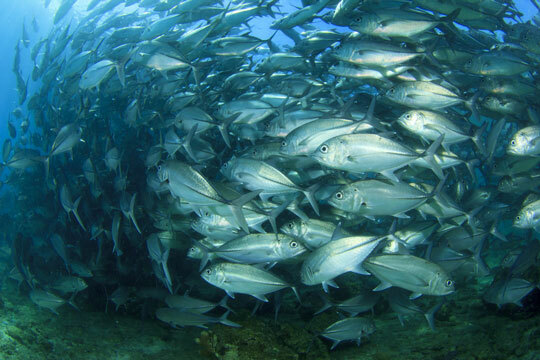 The rock boasts great biodiversity too and is worth several dives, with or without whale sharks. It consists of a main horseshoe shaped splintered rock pinnacle, with several other smaller rocks around its edges. The limestone rocks are covered with anemones, sea fans, barrel sponges and soft corals of all kinds. 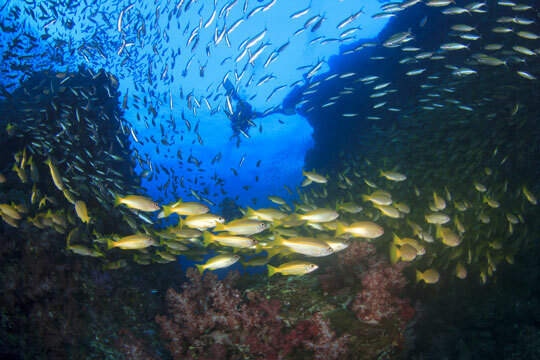 From tomato anemone fish, yellow boxfish, white-eyed moray eels and mantis shrimps to nurse sharks, manta rays, 1 metre Malabar groupers and chevron barracuda, there's always plenty of life to grab your attention on a dive at Richelieu Rock. The problem for underwater photographers diving here is which lens to dive with. 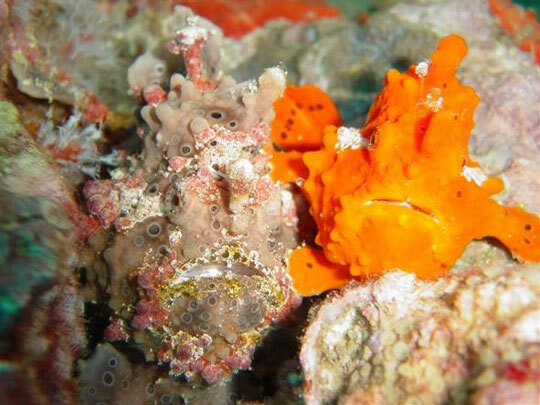 On the one hand there's the resident frogfish and seahorses that make such willing macro photo subjects. 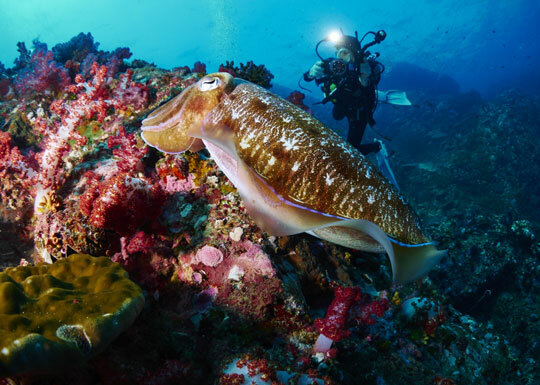 Mating cuttlefish and octopus are also common sights. Then on the other hand, there's the chance of something really big swimming by and leaving you wishing that you'd selected your wide angle lens! 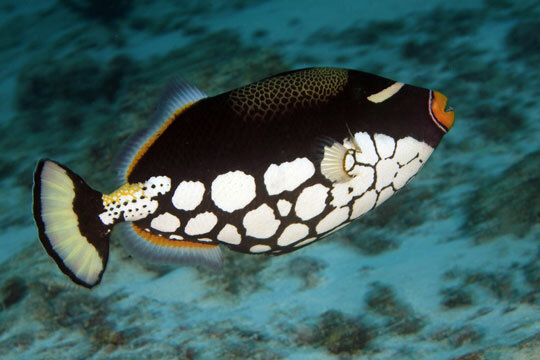 Richelieu Rock can be a deep dive but there is also plenty to see at shallow depths all the way to the surface. When the currents are strong there are always places to find shelter. Richelieu lies between the Similan Islands and the Surin Islands. 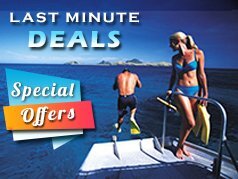 This stretch of the Andaman Sea also includes the two islands of Koh Bon and Koh Tachai that are good diving locations in their own right. 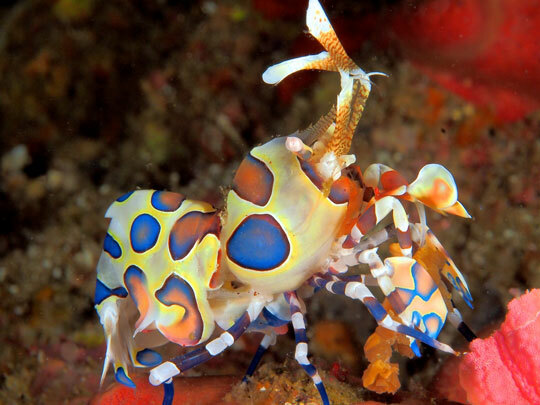 The best way to dive here is on a liveaboard cruise. All of the Similan tour operators include Richelieu Rock as part of their itinerary and a few of the longer cruises also push on to Surin. 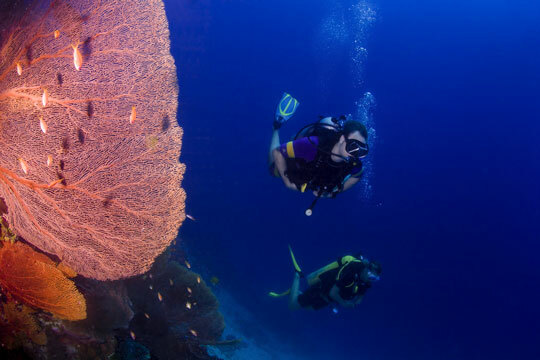 You can expect a minimum of a 4 night cruise if you want to reach this renowned diving site. It is possible to dive here only from late October to early May, due to rough sea conditions prohibiting diving outside of this period. 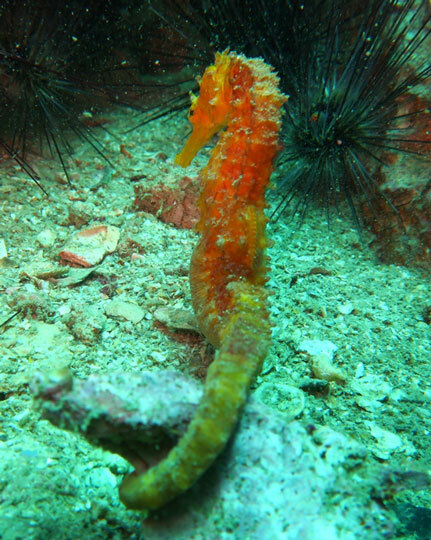 During the diving season the conditions are generally good and liveaboards make regular visits. The driest months are February and March and they also see regular flat seas that make this the ideal time to visit Richelieu Rock. The water temperature is usually around 30°C at the surface and 27/28°C at depth, although in November and December transitional thermoclines can cause temperature drops to 25°C. 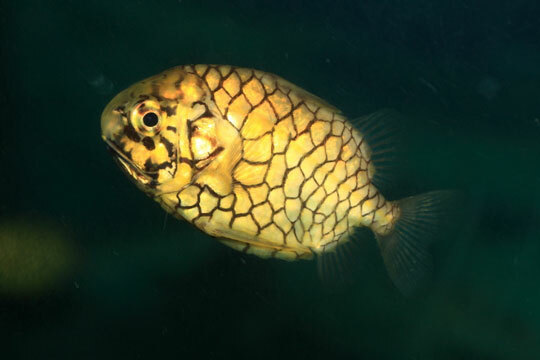 It should be noted that underwater visibility at Richelieu is often reduced from March to April due to a higher density of plankton in the water. 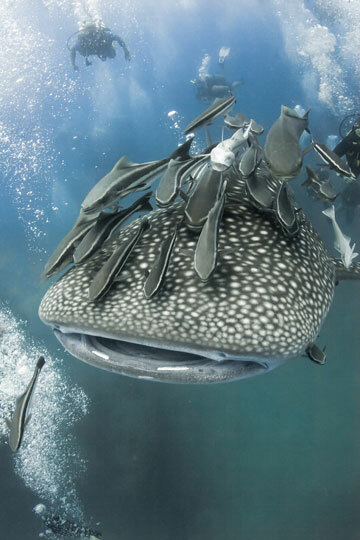 However, this is not an unwelcome event since this is what attracts the whale sharks.